1.Compatible with BLU Vivo 5 V0050UU,100% fit and brand new,not fit other model phones. 2.It is used to repair faulty screen: display problems, dead pixels, cracked LCD screens, wrong color issues. 3.No installation instructions, please install under the guidance of professionals. 1)Before installation,you should watch related repair videos,there are many videos in Youtube. 2)The screen is fragile and sensitive,must be careful. 3)Do not over bend the cable,fracture the cable will cause dead display,lines color issue. 4)Although you can install by yourself,we recomend to let the professionals to install. even other kinds of problem,please contact us firstly,we will give you replacement. Compatible with BLU Vivo 5 V0050UU only,100% fit and brand new,not fit other model phones. 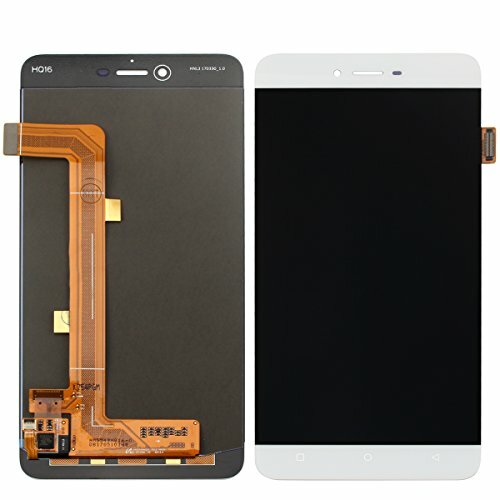 Complete brand new high quality LCD screen replacement parts. Each screen is tested before shipping and 100% working,make of high quality material.If you received the damaged screen,please contact us in time.We will reply within 24 hours. If you have any questions about this product by HYYT, contact us by completing and submitting the form below. If you are looking for a specif part number, please include it with your message.